A Civil Servant from the Finance Ministry as Director General for Heritage ? 9/12/12 - French Ministry of Culture - The choice of a high-ranking public official, Vincent Berjot, who has spent his entire career at the Ministry of Finance to become Directeur général des patrimoines at the Ministry of Culture, vacant for almost four months now, is very symbolic in the current context. Mr. Berjot was deputy director of the budget until early 2011 at the ministry before joining Paris City Hall where he is now Director of Finances. However, this appointment which was announced as a "fait accompli" is apparently not going down well at the French Ministry of Culture where many have, duly, expressed their outrage at the fact that the designated person has never in any way worked in the cultural domain. It seems that Bertrand Delanoë is also having a hard time swallowing this particular pill since he has already bid goodbye to part of his team when they left for the Ministry of Culture, notably Laurence Engel, Cultural director for the City of Paris, who now heads Aurélie Filippeti’s cabinet. The mayor of Paris apparently wants to keep Vincent Berjot, rejected by many at the Ministry of Culture. So, for the moment, no one has yet replaced Philippe Bélaval who left for the Centre des Monuments Nationaux. 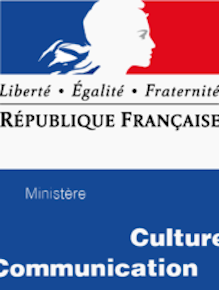 Since the Ministry of Culture was reorganized, the Director general for Heritage occupies the positions of Directeur du patrimoine as well as Directeur des musées de France. Until now, these posts were occupied either by curators or high-ranking public officials familiar with the cultural sector after spending their whole career there. In the latter case, they were often accompanied by a curator as deputy assistant. We do not know if Aurélie Filippetti is behind this unfortunate choice or if it was imposed from above . In any case, this is another bad sign for French cultural affairs, adding to the list. But it is not too late to change course. Nor did we ask the Ministry of Culture which could obviously not have answered in a sincere manner. We did not inquire at Paris City Hall for the same reason. Vincent Berjot, whom we contacted in an email late this afternoon, as we did not have the necessary information and references any sooner, did not answer our queries, meaning he either did not receive our message or, most likely, did not wish to respond.